Back in 1943, when women flocked into the workforce to help win World War II, Washington State banned paying women less than men for similar work. 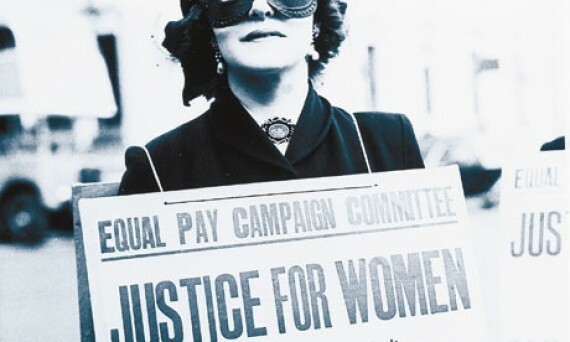 Now 70 years later, women’s pay still trails behind men’s. Women make up almost half of our workforce and earn the majority of college degrees. Yet, the typical Washington woman who worked full-time, year-round in 2013 took home only 80 cents for every $1.00 made by a man. On average, Washington women working full-time in 2013 were paid $18,000 less than men. 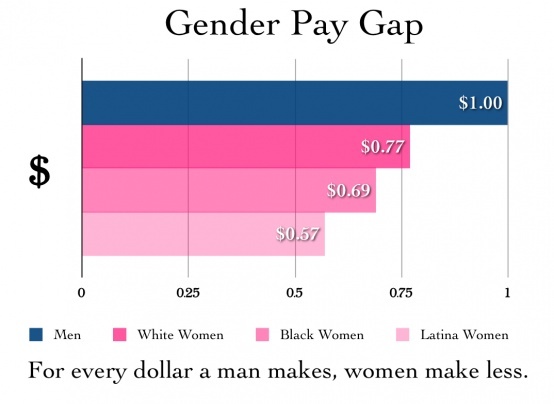 Women of color face especially large wage disparities. Nationally, to reach the median income a white man brings home in one year, white women must work until mid-March of the following year, Black women to late June, and Latinas to October. Those pay gaps leave big holes in family budgets and make it harder for local businesses to prosper. A lifetime of lower wages also mean women get lower Social Security benefits and have less in retirement savings. Job segregation and the lower value society assigns to “women’s work” explain a big part of the wage gap. Men hold 8 in 10 jobs in highly paid computer-related fields and in engineering, and 3 in 4 jobs in aerospace manufacturing. Women predominate as health technicians, office administrators, and personal care services. In groceries, men dominate as meat cutters and make higher wages than deli workers, who are mostly women. Unequal pay persists at all education levels and across occupations. Up to 40% of the gap cannot be explained by differences in occupation, industry, union membership, education or experience. It can only be explained by discrimination. Studies have shown that women are offered lower compensation than men when first hired, even with the same education and experience, and they receive smaller and less frequent promotions. There’s also a “motherhood” penalty. Employers are less likely to hire women with children than either childless women or fathers. And mothers tend to make lower wages than women without children, even when they work as many hours. Both federal and state laws ban gender- or race-based discrimination in employment. But courts have allowed employers wide latitude in justifying paying women less than men. In fact, employers can get off by claiming there was no reason they paid a man more, just that they did not intend to discriminate. Many women also never find out they are being paid less. In a recent national study, one third of private firms admitted to actively discouraging or prohibiting employees from discussing pay with other employees, with some even firing workers for talking about wages. Greater transparency in the workplace will open new career opportunities for more women, and begin to challenge society’s general undervaluing of women’s work. Protect the rights of all workers to discuss compensation and prohibit retaliation against employees who do so. This will enable workers to find out if others in the company are being paid more for the same work. Authorize the Department of Labor and Industries to investigate charges of gender discrimination, so that workers aren’t forced to go to court unless they want to, and require employers to provide job-related reasons, such as education, skills, or experience, for differences. No single policy will assure women fair wages, but the Equal Pay Opportunity Act together with Paid Sick and Safe Leave, and Family and Medical Leave Insurance will boost family budgets and women’s incomes, while working and in retirement. You can help the Work & Family Coalition pass the Equal Pay Opportunity Act. If you were/are paid less than your male counterparts during your worklife, share your story with Gabriela at eoionline.org.